Federal initiatives to make more spectrum available for mobile services are likely to take off running after President Barack Obama's re-election on Tuesday, a member of a presidential technology commission said. The government is trying to feed demand for additional spectrum on several fronts, including auctions and the sharing of frequencies that federal agencies use. With Obama now set to enter a second term, the policies of the U.S. Federal Communications Commission and the guardians of the government's spectrum should remain the same, said Mark Gorenberg, a managing director at tech investment company Hummer Winblad Venture Partners. He spoke on Wednesday at the Open Mobile Summit in San Francisco. The administration is likely to stay the course on spectrum policy even if FCC chairman Julius Genachowski resigns, Gorenberg said. Some observers expect Genachowski to step down before Obama starts his second term, as a re-elected president's cabinet members often do. Likewise, policies should remain the same at the National Telecommunications and Information Administration, which oversees federal spectrum, he said. "I think you'll have a White House that's engaged," Gorenberg said. "With the election behind us, I think you'll see things start to move forward." Gorenberg served on the Presidents Council of Advisors on Science and Technology (PCAST), which earlier this year issued a report that identified several blocks of spectrum that the government might share with commercial mobile operators. The FCC has said it will act by year's end on one of PCAST's recommendations, which calls for sharing of 100MHz of spectrum in the 3.5GHz band. That band is used exclusively for radar today, but PCAST said carriers share it if they use so-called "small cells" that transmit signals over a shorter range than traditional cell towers do. The spectrum-sharing proposals are designed to help open up more spectrum for commercial mobile services, a goal of the National Broadband Plan issued in 2010. 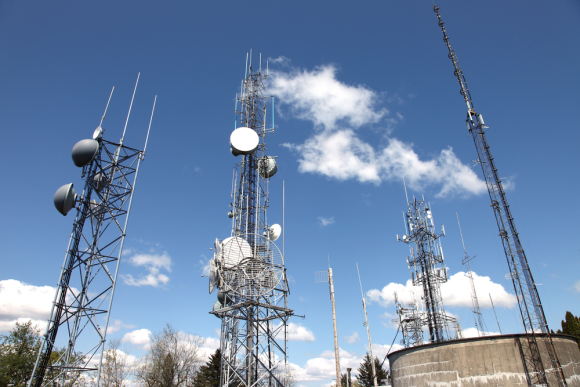 The government wants to make 500MHz of spectrum available within 10 years. Some lawmakers have questioned PCAST's plan, saying carriers could plan more easily with exclusive spectrum allocations. The spectrum-sharing initiative PCAST kicked off also could help to foster more reliable mobile service after disasters like Hurricane Sandy, Gorenberg said. Last week, that storm knocked out nearly one-third of the cell sites in the hardest-hit areas around New York City, though service has returned to near normal in most places. Similar to the way the U.S. space exploration program of the 1960s spurred development of technologies that later formed the foundation of modern microprocessors and other systems, building networks to share spectrum could lead to better mechanisms for keeping wireless service alive, Gorenberg said. For example, PCAST proposed that commercial and government users could coexist on the same frequency if the commercial devices knew where active federal users were and could back off on that channel near their locations. The panel proposed using a geographic database of devices similar to those set up for unlicensed "white spaces" between TV channels. If two networks were built in the same area and programmed to coexist like this, one could take over for the other wherever there was a failure on either one, he said. He compared the system that would manage this arrangement to air traffic control for frequencies. Though PCAST didn't specifically call for federal and commercial networks to back each other up in emergencies, development of spectrum-sharing technology could lead to better tools for such arrangements, he said. "Sharing basically allows you to coordinate better," Gorenberg said.